Howdy I myself am very unsure that it is a Washburn made guitar that label looks like nothing in any of my catalogues nor does it looks right with what looks like maybe had the whole top by the neck cut out and replaced with some other piece, I have sent a message to the one person who knows a lot more about these older models but I am sure he maybe confused by the label inside and with no center spline I am thinking someone may have made the label and stuck it in to represent Washburn. Can you tell us what else the label says and those numbers make no sense.Looks as if someone deliberately removed a name on the head of the neck. What it is I don't know, but that is most certainly not a Washburn or Lyon & Healy made guitar of any era, and neither a prototype for these. 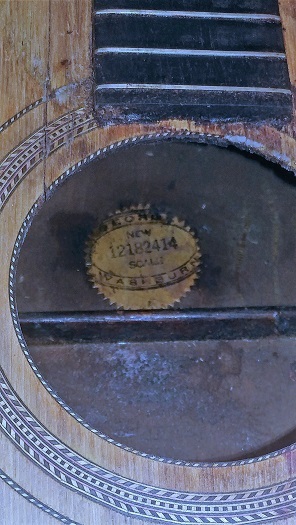 Possibly faked label, serial number not conforming at all to the pre WW 2 era. Aside from fancy "presentation" models, very few L&H instruments have major value. At their peak, L&H cranked them out by the cartload, literally. Being "commodity" instruments, most were used to death then parked in the basement or attic, with no maintenance at all. 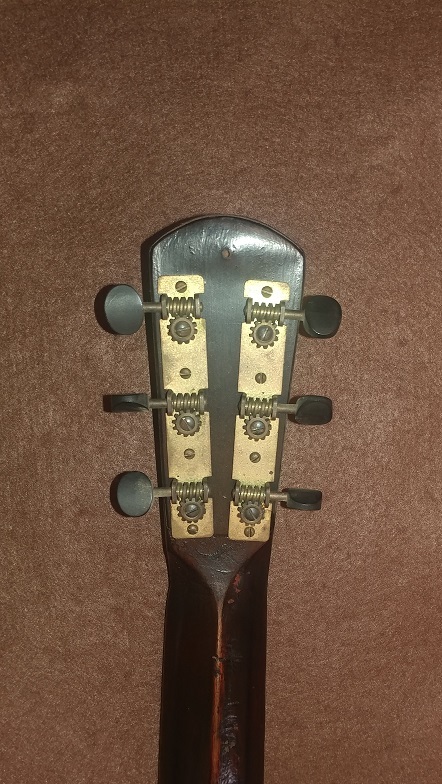 In my experience, good acoustic guitars eventually NEED to have their necks reset, & sometimes other work (pull up & reglue the bridge, reattach the braces, etc.). 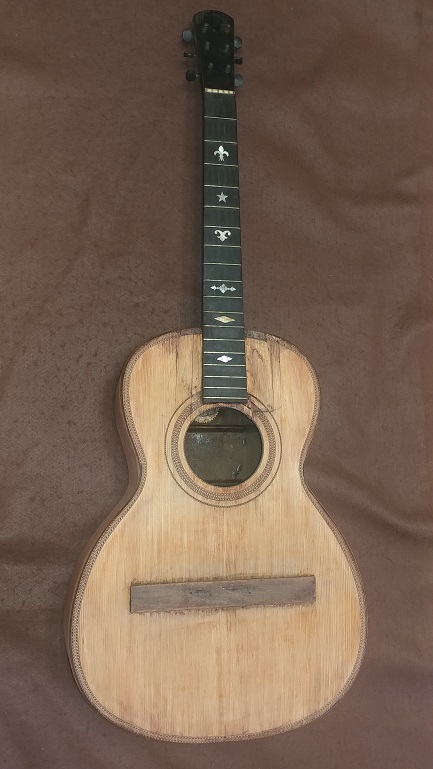 The early "parlor-size" guitars were originally intended for gut strings; because of their short scale, they adapted moderately well to steel strings without collapsing the top or ripping the heel loose -- initially, at least. And the adjustable trussrod hadn't been invented yet. Very few guitars had any sort of neck reinforcement at all. 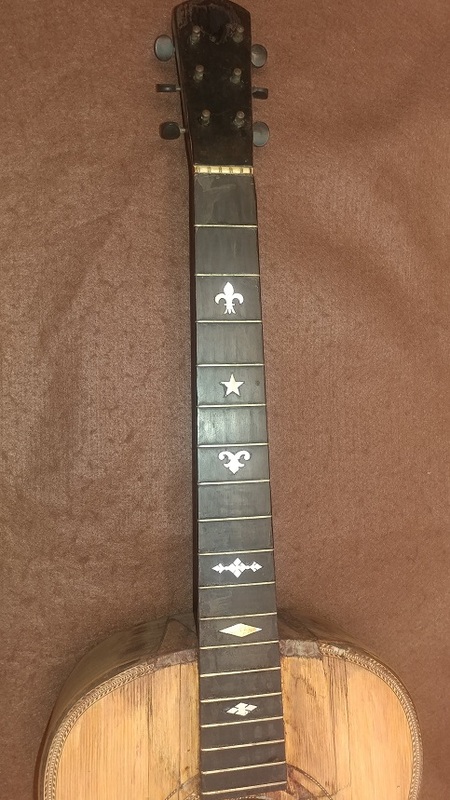 People who restore/upgrade larger guitars might add a trussrod & maybe rearrange the braces. An acquaintance told me he'd paid $200 for a beat-up but playable L&H, planned on putting $500 or so into restoring it, & asked what it'd be worth. I said he'd have a pretty good $700 guitar. 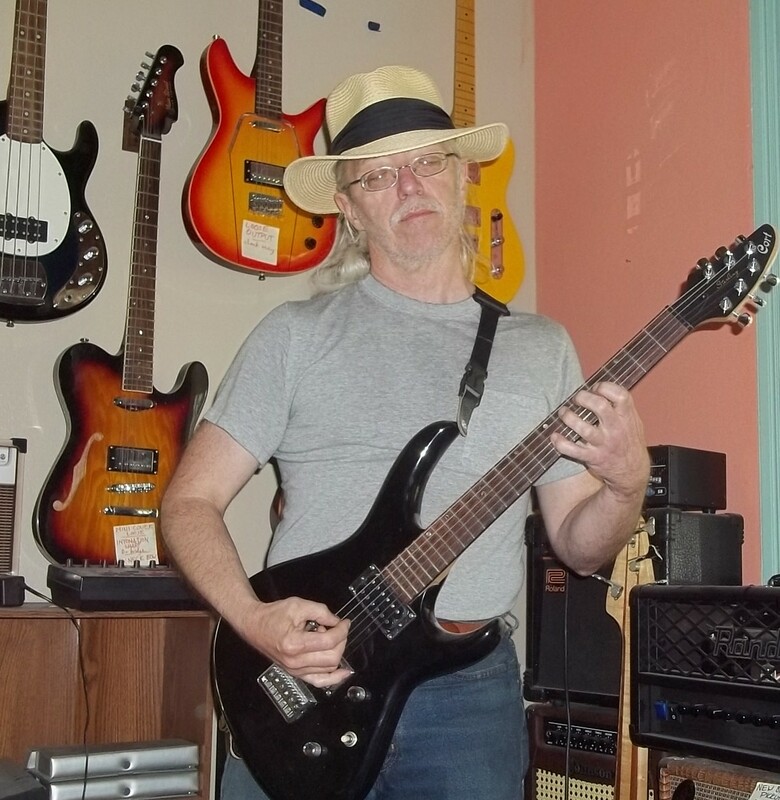 Fixing a guitar is like building a hotrod: do it for the experience & to have a fun toy, because if you ever try to sell it you'll be lucky to recoup even the parts cost. Fixing a guitar for one's own use minimizes downside, & the value will likely remain stable for eventual trade/resale. I wouldn't eBay the neck separately. So long as you don't misrepresent what you've got, there's probably someone who'll pay more for shipping to get a vintage"project" guitar.